Since ancient times, crystals have been used as a beautiful way to heal, protect, and enhance the mind, body, and soul. Even if you don’t happen to believe in these magical healing powers, it’s hard to deny their beauty. I recently found a shop near me that sells all different kinds, and I’ve now started quite the collection. There are so many ways to surround yourself with these beautiful rocks. 1. Place them in your garden. I’ve always loved the idea of incorporating hand-picked rocks into an outdoor garden, and using crystals is such a beautiful way to do it. I love the way the purple hues of this hydrangea go so perfectly with the amethyst, clear quartz, and pyrite. 2.Hang them by a window. I love how it looks to have a cluster of crystals on different lengths of string hanging right next to a window. I was lucky enough to get a bunch of crystals that came with holes in them, but you can always wrap yours in thread or wire so that they’re able to be hung. 3. Make a dreamcatcher. In my opinion, the perfect dreamcatcher always includes a crystal in some way, whether it’s woven into the netting or hanging down at the bottom. I love how this lemon quartz goes with the beachy color scheme of this dreamcatcher. 4. Place them in a bowl. This is such a simple idea, but it makes such an impact. I love the way it looks to arrange crystals of all different sizes in a raw wooden bowl. This makes a great centerpiece for a coffee table! 5. Make a zen garden. 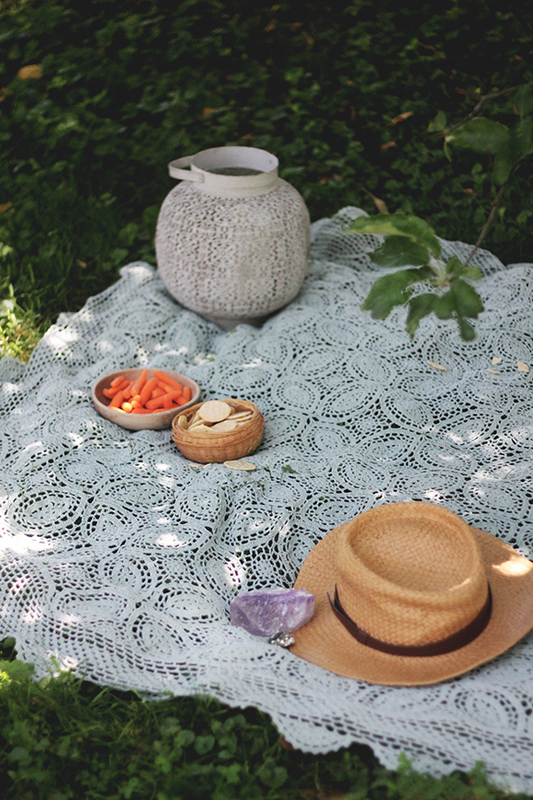 If you want to take the bowl idea in a different direction, make your own zen garden! Fill a bowl with sand, and carefully arrange some smaller crystals, mixing them with anything else you desire — dried flowers, feathers, and tealight candles are some of my favorites. 6. Make a crystal necklace. I love the idea of wearing a single crystal around the neck. This one is smoky quartz to help keep me centered and grounded throughout the day. 7. Create a display masterpiece. 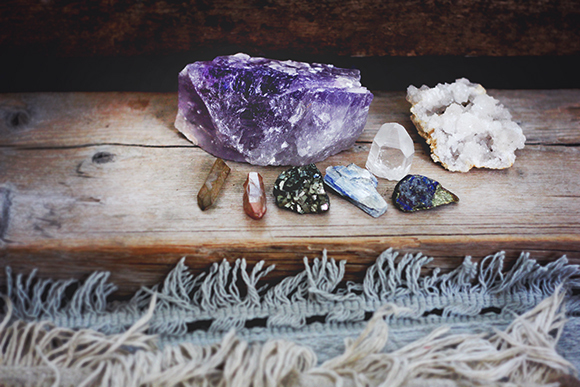 There is something so meditative about mindfully arranging crystals and other stones in your own beautiful designs. Do this on a dresser or table and change the design whenever the mood hits. 8. Use them as paperweights. I hope that this summer you find yourself creating a handwritten note or painting, either outside in the grass or inside with the windows open and a gentle breeze flowing in. Crystals are the perfect paperweights in a situation like these – especially because, if you use the right ones, they might just help enhance your creativity. 10. Put them in your purse. Ain’t nothin’ wrong with carrying a crystal or two around with you wherever you go. You never know when you might need it for protection or inspiration. Place one in your favorite coin purse and never let it leave your side. How else are you bringing crystals into your life? Follow Brigette on Instagram, and have a look at her blog and Etsy shop! Soon as I started reading this and seeing the picture, I just knew it had to be you writing it! Love Every Single Thing!! Super Excited to be getting my bowl from your Etsy shop! Thank you so much for all of these gorgeous photos of crystals…. I feel like I took a visual energy bath. If this isn’t the Universe speaking to me, I don’t know what is. I just picked up my crystals from my apartment (I’m in the process of moving) this morning and was wondering how I could use/arrange/heal with them in new ways. And wouldn’t you know it, this was the first website I went to when I turned on my computer just now, and this beautiful post was waiting for me. Thank you! These are lovely, I need to get some for my home. Where can I buy them? I love this post! I love all these tips. With my crystals I always place some under my pillow along with my dream cards to help enhance my dreams. I love taking them to different places. One place in particular is music festivals. I was at the Flaming lips during hangout fest and I held my little citrine up and was dancing with it: pure bliss. Another great tip is placing them by your bathtub, with a nice candle and some bubbles mmmm so relaxing! Where to get them?? Etsy, Amazon, eBay and also check out some fun little stores in your area! My first crystal I got a bunch, in the past I always gift them to people who resemble that stone’s energy. But your first one I recommend a quartz! Then add on more that you feel resemble you! My go to crystal’s are ammonite, amethyst, and citrine :)) blessings y’all! 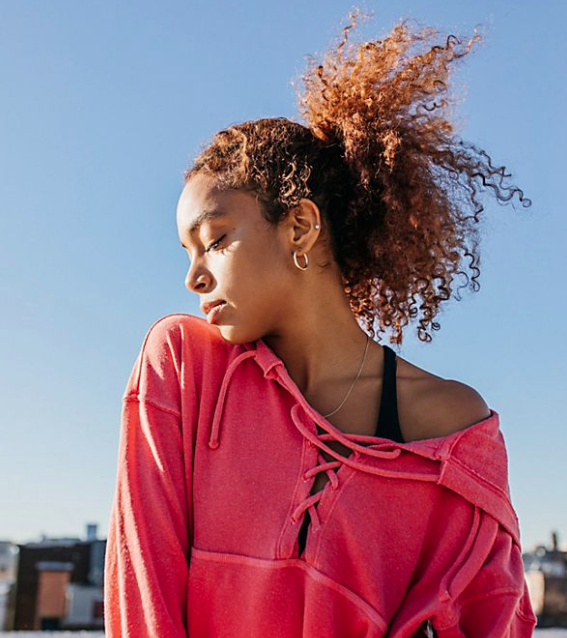 What a lovely post with such great photos! 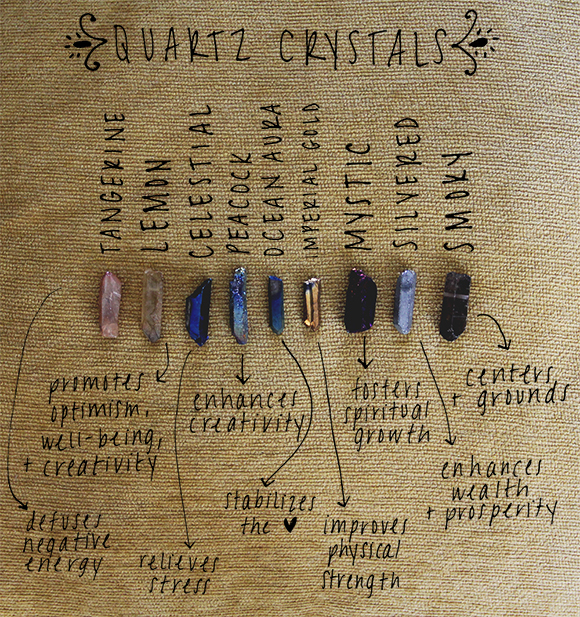 Inspires me to start a crystal collection <3 must just find out where I can get some! I love love love the idea of putting them on a dreamcatcher! I am obsessed with dreamcatchers and I bet some dangling crystals would look so pretty! Rachel – I got them from a shop called Heartichoke on Long Island! What a lovely post ..
Beautiful post. I love carrying crystals with me in my purse or pockets. Great points, but you can always use crystals on your own specific way as long as you think it helps you. Love your post :) Wonderful way to share these thoughts! People say that wearing pretty accessories and clothing makes them feel better. Add a little crystal, and you will feel exponentially better!